Anything it, of course, plainly was not known a sick by severe hypertonia Victor Timofeevich Sablin when in the morning on May, 12th, 1962 him on a stretcher have brought in laboratory K.P. Buteyko. But he has seen a miracle - a combine! Has seen by own eyes. Yet not disassembled by enemies medicinless a method on parts, a combine in which they have not guessed yet to wash dirty hospital linen... The Couch on which the sick woman laid, was released and there have laid Sablin. Already its body have stuck round every possible gauges. Victor Timofeevich very deeply, all breast swallowing of air breathed. It is not surprising, that at you have such hypertonia, - having looked on written down by devices of a combine parametres, the high, harmonous doctor in a white dressing gown has told to it. It also was Konstantin Pavlovich Butejko as has understood under references to him his assistants Sablin. - And what, unless deeply to breathe is harmfully?, - its Victor Timofeevich killed by a hypertonia has with astonishment asked. - Us both at school, and in sports sections always learnt to breathe deeply. Said, that it is very useful, - he has added. - the doctor has given up as a bad job. - and now still speak in all voice. - And do you think on another?, - the hypertensive patient has pricked up the ears. - I think, I think - has assured it Buteyko. - Yes you and can be convinced of it. Well breathe still deeply. Victor Timofeevich has obediently started to swallow a mouth air. All writing down devices of a combine were horrified obviously at once by the raged hypertonia. Record of work of heart there and then has begun to give out frequent and high peaks on the schedule. The percent of the maintenance of a carbon dioxide in exhaled air in a trice was enlarged. - Well as?, - has taken an interest at Sablina Konstantin Pavlovich. –Did it become better or worse to you from deep breath? - Certainly is worse! Much worse... - Victor Timofeevich who has reddened from a strain has answered. - Yes here and pressure at you already for 200 has jumped - Buteyko has once again verified tonometer indications. - But after all us in any out-patient department on reception at the doctor first of all ask to breathe more deeply that heart to hear and lungs? - Victor Timofeevich has hitched up brows up. - Ask, ask - the author of a wonderful combine has easily agreed with the hypertensive patient. I, since 3 a course medical institute, patients about it asked all at survey. And then at me one in appearance the healthy guy directly on eyes as has failed on a floor after short listening... So I have thought, that he has died! - Nevertheless it is somehow difficult to me to get used at once to thought what deeply to breathe it is not useful, and it is harmful, - it has almost moaned, looking on a smiling face of the principal of laboratory. - after all it is so much years us learnt, that deep breath supplies an organism with oxygen, improves our health! Buteyko, having bent more close to sick of a hypertonia, has corrected on its body any gauges and has clicked in air fingers. Little bit distracted from an unusual situation of laboratory Sablin, having forgotten for a while about the hypertonia greedy listened to words of the scientist. - Love at us, whether know to Europe that to admire. - Konstantin Pavlovich has continued the thought. - As, well-known Antoine Lavoisier from the Paris-father and oxygen to us has opened and about its leading role in burning processes has told. Means so to that and to be!, - Buteyko some seconds have kept silent. And here about that this "well-known" French the chemist was not less well-known thief, both scientific, and usual, - about it not very much tell. Though French man this in the first has stolen opening of oxygen at English chemist Priestley who on simplicity sincere has told Lavoisier that has opened new gas - oxygen. Well and, secondly, stole Lavoisier not only discoveries. It and the French treasury robed much. Taxes from Frenchmen collected, yes not all in the budget of France gave them. Much on the pockets stuffed. For what to it have publicly chopped off on May, 8th, 1794 a head on a guillotine. So, that companion Sablin, - Konstantin Pavlovich in an emphasis has looked on sick of a hypertonia, - I on your place not so would trust to praising of oxygen and it ostensibly to the basic beneficial influence on a human body when these of eulogy go already from Antuana Lavoisier... I would pay attention to our great Setchenov's works. He that knew the original price to a carbon dioxide. Then, in the morning on May, 12th, 1962, packed by the every possible gauges, dumbfounded by a kind of the unusual combine-kompleksatora, Victor Timofeevich Sablin suffering from a severe hypertonia did not has understood at once all. And subtly quickly to understand. Well-known French chemist Lavoisier about whom he read in school textbooks, appears was the well-known swindler. And oxygen, appears, for a human body oven is not the most important oxidizer. But gradually, more and more communicating with Buteyko unfortunate requiring treatment of a hypertonia of the patient began to begin to see clearly gradually. A combine after all you will not deceive - has breathed more deeply - here to you and pressure jump up. Has reduced depth of breath - at once both to heart pressure to a bottom is better also tends. Already here - within the precincts of Butejkovsky laboratory, being trained in method VLGD, Victor Timofeevich has read at last left even in the summer of 1961 article "the Combine against a hypertonia". Has read already after has not once lain down on a couch of this wonderful combine. And in the beginning of summer of 1962 to it a distance in laboratory fresh fifth number of magazine "the Inventor and the rationalizer". Oscillographs and a hypertonia - Victor Timofeevich has read the name of article printed by a fat font. There was fineer subtitle more low. Whether it is useful "болшое" breath. This article was written this time by Konstantin Pavlovich Butejko. Therefore Sablin, with the experience to which method VLGD already most advantageously helped to leave without any tablets all further and further from the hypertonia, in this article literally each line was interesting to the hypertensive patient. Victor Timofeevich already and itself saw, that the Butejkovsky laboratory keeps tabletochnikami-principals in strict isolation from broad masses of the patient люда and similar articles - a huge rarity. - At early stages of disease they were practically healthy people with strong heart and fine lungs. (It is thin it is noticed has noted about itself Sablin) - Especially it was brightly shown at the big sportsmen, - Konstantin Pavlovich wrote. - In October, 1952 under impression which has examined on me one of such patients, at me has arisen, it would seem an improbable question: whether "is sharp narrowing of arterial vessels (a hypertonia sign) original protection of tissues and the vital organs against excessively strong breath?". In this place Sablin has involuntarily stopped. Here, means, as the hypertonia creeps to the victim. Through wide hiluses of deep breath of the patient! "But really" can big "breath be harmful to an organism?, - continued to read further so Victor Timofeevich who has suffered from a hypertonia. - That, this assumption not so is improbable. After all for all functions and the substances consumed by an organism there are norms. Both the disadvantage, and excess something, let it will be water, nutrition, vitamins, salts, illness as a rule causes." Of us it was necessary to much (though sometimes) to hear performances остепененных physicians. Important, solid, bearded. Speak with aplomb. But so путано and it is tongue-tied, that тошнит in three minutes. Russian people they on русски almost will tell nothing. Even in public (for the people, that is) lectures. Through a word at them Latin, through another the most complicated scientific abracadabra. Behind this paling the reason of a hypertonia during a life not to make out. And its bearded oracles do not know after all. Therefore muddle... One of considerable advantages of the winner of a terrible hypertonia - Konstantin Pavlovicha Butejko consists that he was able to tell about the most difficult medical problems very simply and intelligibly. And the question of struggle against a hypertonia costs among them. "Insufficiency of breath is very widely studied and widely known. Obviously, should exist and superfluous breath?, - asked to itself a question in article its author. - Perhaps, it is not less pernicious, than breath insufficient. Even small clinical experience found a number of the facts confirming initial thought. So, for example, hypertensive patients and sick of a stenocardia is, as a rule, people with healthy heart and fine lungs in the illness beginning. Moreover, if at these patients lungs or heart the hypertonia fall down or absolutely passes are strongly amazed. From the resulted patterns and the facts there are, of course, exceptions, but is rare." Sablin has reflected. His life confirmed the told. "On the other hand there is firmly taken roots opinion in a life, and in medicine that insufficient breath is harmful only, and strengthened always it is useful, as it supplies an organism with oxygen is better and throws out Carbonei dioxydum - Victor Timofeevich has continued the reading. But the researches spent at our institute and numerous other works have shown, that Carbonei dioxydum is extremely important substance, without certain which concentration the basic vital processes in an organism "cannot normal proceed. For a long time and well-known, that Carbonei dioxydum is the powerful vasodilating factor, but for some reason did not exist of imagin that reduction of this substance in blood can narrow vessels "See, dear hypertonias requiring treatment patients as firmly and genius K.P.Butejko to the original truth is steadily torn in this article. Means, that Carbonei dioxydum promotes a vasodilatation to physicians was well-known. And here to continue this thought to the logic extremity - a pier then reduction of the maintenance of Carbonei dioxydum will cause a vasospasm - on such absolutely obvious and logic ending to spirit at the same physicians for some reason did not suffice. And hidden in hiding places of a human body the hypertonia laughing rubbed from the pleasures ладошки: cannot, in white dressing gowns professors cannot reach its original cause! Rejoice, an artful hypertonia, - the modern formed doctor is weak spirit. But from K.P.Butejko at the tsarina of all of those who suffered from the raised pressure, at a powerful and spiteful hypertonia the misfire turned out... "In our researches sharp narrowing of vessels has been taped at excision from blood of Carbonei dioxydum by excessive breath". A hypertonia which together with Sablin (it with him was unseparable long years) has already thrown up the hands - well it is necessary what annoying crest, steals up to it directly closely! Also it is glad to disappear - yes there is no place. "Narrowing of vessels thus in 2-3 times reduced blood inflow to tissues. Besides blood at reduction in it Carbonei dioxydums starts to bind more strongly oxygen and by that less to give to its tissues of a body." Well such violation of the insidiousness, even наихитрющая the hypertonia could not sustain. You look only, that this native of Ukraine writes! Same blow by an axe on absolute power of a hypertonia. The artful cheat has recollected, probably, during this instant and other Russian scientist, which else in 1898 already has literally seized it by a throat of the strong, not knowing mercy by an arm. Buteyko also on light was not, when in 1860 was born Bronislav Fortunatovich Verigo. Bitter it was for the tsarina of a hypertonia hour. Together with the first cry of the baby she already and then has scented inevitable death. The boy grew, studied. In 1886 has finished natural unit of physical and mathematical faculty of the Petersburg university. And in 1886м - the higher medical academy. The hypertonia with horror watched its successes. It hardly has not chewed up all teeth for a rage when Verigo has come to work to Ivan Mihajlovicha Setchenov's laboratory. For a hypertonia it there were its rainy days until then cloudless existence. How many to pavor for it the Setchenov steadfastly studying a role of a carbon dioxide on the general gas structure of blood, and now still this terrible Bronislav has done! Fears of a hypertonia have appeared are not vain. In 1998, when Bronislav Fortunatovich already worked as the professor Odessa (then called Novorossisk) university, Ivan Mihajlovicha Setchenov's ideas have found таки in researches of its pupil almost full practical end. Bronislav Fortunatovich, leaning against the most exact and checked up datas of laboratory, has proved, that at reduction of the maintenance of Carbonei dioxydum in bloods of the person haemoglobin of blood gives transferred by it from lungs atmospheric oxygen to cells of a human body requiring it is much worse! Including to heart cells, and a brain. Eureka!! The hypertonia has received terrible, almost that very strong blow. Same there was a law! The nature law. It could not be rejected, but... It was possible to detain its recognition to a pore. About as the hypertonia frightened to death when the Russian medical academy has not considered possible to declare in the same 1898 the natural law opened by professor Verigo law Вериго rejoiced. No! The Russian academicians pulled till 1904. And only when in 1904 the Danish physiologist Boron also has come across this law of the nature, only then has been publicly declared a recognition of the law of the Verigo-pine forest... The Cheat a hypertonia was glad once again also to intrigues of the Russian academicians, then frequently wearing entirely German surnames. And to their servility before the West. And to that was glad bad girl - a hypertonia, that to Bronislav Fortunativich have not allowed to finish the scientific researches. That it supported the simple people and rather poor students, in 1914 of professor Verigo have expelled from Odessa универеситета! The hypertonia has received one more острочку the definitive death. Quite probably, that working in Odessa Bronislav Fortunatovich would leave and on last link in this logic chains. Namely - would establish connection between deep breath of the person, excessive leakage of a carbon dioxide from an organism thus and, as consequence - narrowing of blood vessels and hypertonia occurrence! Quite probably, that Verigo it could appear capable of such courageous scientific step. But the German academicians receiving the salary in the Russian medical academy, have not allowed him to make it. The hypertonia could triumph. Verigo have banished to Perm (in 1914). And till K.P.Butejko's birth (1923) remains as early as long nine years. It till a birth of the Russian Genius. Then it was required to wait as early as 28 years before its serious disease by a malignant hypertonia. And only then - at night from the seventh for October, eighth 1952 to what through thorns with torments and sufferings Ivan Mihajlovich Setchenov and its best pupil professor Verigo made the way has come true! They - great Russian physiologists have not lived to this light hour. Anybody from them that memorable cold October night could not stretch to Konstantin Pavlovichu Butejko a true arm of the friendly scientific help. Though errors, certainly were. And considerable... To asthma treatment (even not method Buteyko) it, the relation truth directly had no. However, endowments did not know it borders... It combined the engineer, the physicist, the anatomist, the mathematician, the astronomer and the geologist. Well and as the anatomist, naturally, helped a medical science to move forward. But us it is concrete in Renaissance Italian doctor Dzherolamo Kardano interests. He lived in 1501-1576гг. Here this doctor has really deserved, that his name has been entered in medicine history by gold letters! He, probably, one of the first has managed to cure let one concrete patient of an asthma. It and now without method Buteyko cannot make. Neither antibiotics do not salvage, nor hormonal preparations. At living in sixteenth century Dzherolamo Kardano there were no at hand neither antibiotics, nor hormonal preparations. But there was a concrete bishop sick of a bronchial asthma-English. It has sent on it an ominous malignant hypertonia (260 on 170). The genius had no place to recede. In their this night duel (a hypertonia and K.P.Butejko) in the live could remain only one. If Konstantin Pavlovich has lost, he would die in a half-year. The malignant hypertonia does not leave witnesses of the evil deeds. Buteyko has decided to fight up to the end! Be, that will be. Declare it after madwomen or помешанным (declared!) business the fifth. It will be already after fight. But at night with 7го for October, 8th, 1952 the hypertonia should be won!! And let then with its years will poison, as last animal, but she is an artful tsarina - a hypertonia it is necessary to die here, in this deserted night office. And live it therefrom after fight with the original scientist of Great fatherland will not creep out any more. They declared his by the carbon dioxide schizophrenic. And he firmly and loudly repeated only one - deep breath causes more than 115 basic illnesses of a civilisation and a hypertonia among the first in this list! To it arranged accident twice, some times poured in nutrition a poison, and it survived!! Survived because at night with 7 for October, 8th it (instead of who another) all the same has amazed with the perfected scientific spear the tsarina the Hypertonia! It has pierced with iron its toxicant heart and thousand future, salvaged subsequently its magic method VEDB (strong-willed liquidation of deep breath) hypertensive patients invisibly protected it from lethal bruises in car accidents and from lethally dangerous dose poured to it in poison nutrition. During accident (on May, 15th, 1961) Buteyko has broken in Novosibirsk in blood, but has survived. And during a breakfast in its dining room from the poison mixed with a potato only vomited, but has not killed to death. Accumulated on small breath carbon dioxide gas has made it added a poison dose (lethal for deeply breathing the person) not lethal to the person with normal breath! "It is necessary to notice, that blood of the healthy person for 96-98 percent - from extremely possible - is sated by oxygen, and any excessive breath can enlarge this saturation only by 1-2 percent, that is on 0,01 - 0,02 parts which do not have practical value". Than further Victor Timofeevich read this referred on destruction of a hypertonia, article especially it was amazed. Leaves, that former great hypertensive patient Konstantin Pavlovich Butejko has paid attention that official medicine all time speaks about harm not enough deep breath. And deep breath, dear hypertonias requiring treatment patients, she considers always useful!. And it for all that, that anybody never seriously was engaged in research of breath of healthy people!! But here if (descendants of the imperial professor - rich man Toporova) would measure the professor at these people as the minute volume of breath they for certain would declare follows, that дышут these healthy people недостачно is deep... In their opinion it is not enough! And after all all long-livers, dear hypertonias requiring treatment patients, differ from other (less healthy) people the equal, quiet breath. Notice, dear hypertonias requiring treatment patients, long-livers дышут it is less deep, than the people dying in 60-70 years! But why anybody never pays to this fact of attention!! Everyone who though time in a life saw documentary films on which are shown interview to the Abkhazian long-livers, for certain (though at subconscious level) noticed, that they speak sedately, not hasty., dear hypertonias requiring treatment patients also breathe, they breathe too rather and rather slowly, easy. Sablin again all has left in reading interested it (as chronic sick of a hypertonia) articles. "Thus strenuously, excessively breathing patient thinks, that deeply breathing it sates itself(himself) with oxygen. And actually it in 2-3 times narrows vessels and approximately in 2 times is stronger (than if he breathed superficially!) fixes oxygen in blood. That in 4-6 times and more reduces oxygen inflow to a brain, heart, kidneys. This pernicious effect is even more expressed at sick of a stenocardia and a hypertonia where and so vessels are excessively narrowed and tissues perish from an oxygen disadvantage (!) though blood is sated by oxygen to a limit ". Here, dear hypertonias requiring treatment patients, it is necessary to reflect especially well. There is here is how our dear official medicine and it чиновные representatives "struggle" with a hypertonia? Among other "salutary" references they (including) advise to hypertensive patients more deeply to breathe, ventilate lungs. The pier, oxygen is useful also harm from this ventilation any will not be. Only, say, advantage. And in practice - according to K.P.Butejko's article, we see, that at sick of a hypertonia (as however and at any other patient) blood and without deep breath is sated by oxygen already for 96-98 percent. It is more like also there is no place. But to it nevertheless advise - breathe more deeply, pump up oxygen. But deep breath if can add still sick of an oxygen hypertonia in blood, how we see, no more than 1-2 percent. And here this deepest breath will narrow blood vessels in 2-3 times. That for 200 percent... The Oxygen, which haemoglobin of blood transfers to cells sick of a hypertonia (including to heart and brain cells), is twice (!) stronger added (according to effect of the Verigo-pine forest) to this haemoglobin. And when the trolley of haemoglobin sick of a hypertonia will stop before cells of its heart and will tell - "Climb down expensive oxygen! Sate with itself so heart waiting for oxygen", lured deep breath of the hypertensive patient to haemoglobin oxygen becomes stubborn. I am supposedly glad to pass in heart cells, yes you, a dear trolley from haemoglobin, itself after all me do not release... Also what, then dear hypertonias requiring treatment patients, as a result it turns out? It turns out, that physicians advise to us to breathe deeply that it is better to feed with oxygen and a brain and heart, and deep breath on the contrary - leaves both a brain and heart of the hypertensive patient without oxygen!! Moreover and three times narrows sick of a hypertonia its blood vessels and... And the hypertonia sharply (!) amplifies!! Whether well it, dear hypertonias requiring treatment patients, not a nightmare? Whether it - not mockery at sick people?! Probably then, in the middle of 1962, requiring treatment of a hypertonia of patient Sablin not too all distinctly understood, that was covered after avaricious lines of the scientific article. But nevertheless he understood much. Article text simply beat him on the spot: "Not going into details the difficult disturbances arising in an organism at these illnesses, we will stop only on formation of two important" vicious circles "- Konstantin Pavlovich Butejko wrote further. - Our researches have shown, that the overbreathing raises nervous system. This excitation is transferred to the respiratory centre which raises breath even more (! ), and the vicious circle" thus becomes isolated. Again, dear needing for treatment of the hypertensions sick, here we must with you together to discuss to beside you did not remain not understood nor one word genius russian physiologist. Konstantin Pavlovich writes that studies have shown - a deep breathing agitates the nervious system. Some wretch requiring in treatment of the hypertensions sick can (can after all) think: "But why this suddenly deep breathing agitates the nervious system? Yes nothing like! As often raged loudmouth speak - "leave;quit;get out; on air, подыши, will calm down..."" Answer such sick hypertension not it is difficult. But all is necessary. First, requiring in treatment of the hypertensions sick can get on his quizzical question the most convincing and simplest answer during five minutes. Let he only will breaf much and much deeply. Let literally swallow by the mouth air. Only honestly, without всякой of the phony imitation. If requiring in treatment of the hypertensions sick подышит five minutes by thereby, that answer will come itself itself. If he and was more less спокоен before this глубокодыхательной of the test then after five minutes заглатывания ртом air beside this sick hypertension from былого of the tranquillity and trace will not remain. He will redden. The blood will pulse In whisky. His can throw up. Possible answer this sick hypertension and strictly scientifically. Else in the beginning of 20го age scientist-physiologists was well known that carbon dioxide is strong becalming facility. Practically related sleeping pill. But when you, dear needing for treatment of the hypertensions sick, breathe deeply that occurs? Occurs overweening washing carbon dioxide from your organism. The Percent contents of the carbon dioxide begins to decrease (including in hutch of the cerebrum). But once in brain of the carbon dioxide becomes less (less becomes the becalming material), that, naturally, the whole subcortex begins to feel carbon dioxide hungry. From lack such becalming material she, dear needing for treatment of the hypertensions sick, begin;start;commence be agitated and to overexcite. And your tranquillities, what not be. "Then, caused by narrowing of vessels oxygen starvement fabric through nervious and the other relationship also agitates the respiratory centre and leads to else greater breathing and to else greater hypertension..). So is locking the second vicious circle". Is it understandable you sheatfish - dear needing for treatment of the hypertensions sick? The Deep breathing leaves generates two vicious circles! "Practically the patients, wanting catch the breath, greedily and deeply breath and else more choke. These breaches most brightly denominated and more CONSTANT Beside SICK GIPERTONICHESKOY DISEASE and less constant beside sick with angina pectoris without hypertension disease. In fairness above said is possible to make sure, having asked hard to breathe sick with angina pectoris, and with big share of probability directly or through 2-5 minutes from begin escalated breathing will appear the typical fit to angina pectorises, which is possible quickly stop without medicine, only moving to rare quite intelligent breathing. For reduction of the blood pressure needs more long, gradual training "small" breathings, since breaches in organism at hypertensions are more deep". Shall Understand to himself, dear needing for treatment of the hypertensions sick? "Breaches in organism at hypertensions are more deep, than at angina pectorises. And here needs the long gradual training on reduction of the depth of the breathing! Sablin has overwinded the earmarked page. "Our studies of sick patients with the help of "medical combine - complexator" have revealled presence to back proportional dependency in the known borders between pulmonary ventilation (intensity of breathing) and clear-space (the diameter) of the blood vessels". Beside majority sick hypertension and angina pectoris, examined by us, breathing was ESCALATED (!!) in contrast with normal". Here is it, dear needing for treatment of the hypertensions sick(!) - here is it decision of the hard nut to crack: If person breafes orderly then beside it not will be already neither angina pectorises, nor hypertensions!!! The Hypertension will not molest orderly breathing man. will not nag she to him - this cheat hypertension... "Studies, called on on complexator the hypertensions and afterwards support the development this disease! Viktor Timofeevich even snapped by knuckle of fingers in this place. "But after all if the main essence of these diseases consists in breach and reinforcement of the breathing, which easy(!) is adjusted by will themselves sick, that amendable breathing must cure the disease!" Yes, dear needing for treatment of the hypertensions sick, here is in this last phrase Buteyko is seen, as on palm... Only his powerful logical (and causal!) thinking his(its) thought before logical end. The hypertension are ill From what? From deep breathing! Than it is necessary then cure the hypertension? The Correction of the deep breathing! Dovedeniem him before RATE. "For this (for acknowledgement said) 30 sick angina pectorises and 30 sick hypertensions and angina pectoris was given method VLGD (the volitional liquidation of the deep breathing), directed on normalization of the breathing. 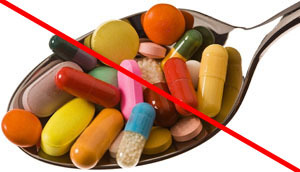 All medicine, except валидола, (and that has left only for heavy sick) were cancelled treatments begin in most. Sick remained in former condition of the labour and быта on привичном for them feeding and were shown for checking 2-3 times at month. Though sick was offered CONSTANTLY (that is to say all time) check and correct its deep breathing, but in real condition of the work and дамашнего быта breathing them practically to adjust 3-5 once at day on several groups of ten of the minutes. All sick gradually to manage to bring the breathing to normal, but at different periods - from several days before 2-5 months". Dear needing for treatment of the hypertensions sick! Turn please attention on this last line. Someone from sick hypertension corrected its deep breathing for several days, but other needing for treatment of the hypertensions sick spent on this a little not floor-year. That is to say all depended on abilities sick to drill and from that how heavy breaches have already occurred in his organism from deep breathing. the fits to angina pectorises, FELL the BLOOD PRESSURE - up to full recovery". !!! Fell the pressure of blood - signifies run away, run away, adding a little more hypertension! The Normalization of the deep breathing by method VLGD did not give the hypertensions nor the most slightest mercy. "Efficiency of the new treatment even beside heavy sick with jam hypertension, angina pectoris and the repeated heart attack, in past lain before beginning of the treatment in beds and now forgotten about insomnia and hypertensions shows that breathing not only more suitable facility for physician of the influence on disease, but also important section in development of these diseases. " Sablin could sign under each line. After all before his appearances in laboratory K.P. Buteyko hypertension in most direct sense word have riveted him to bed. But now Viktor Timofeevich got in laboratory on own leg already. The Hypertension gave before onslaught of the method VLGD white flag! "Amendable breathing not only cures the specified disease, liquidating narrowing container, but also warns the complications from these diseases such as heart attack of the myocardium, cerebral hemorrage, defeat bud and container. In any event not anybody of the doubts that exists the group of the diseases directly or indirectly in accordance with big (overweening) breathing. And in the first place to he pertain the hypertension and angina pectoris, but can be and sclerosis container." As you think, dear needing for treatment of the hypertensions sick, such opinion -is a result of the casual error? no. Himself Konstantin Pavlovich spoke these words on given cause: "Propagand rumours and lie about that that my method ostensibly only "little cures" some there asthma there is nothing else than conscious introduction to error of a millions sick, sufferring hypertension, angina pectoris, ischemia by disease heart and else one hundred twelve main diseases to modern civilization. This concern with the bureaucrats orthodox West (European...) of medicine. That-you! Realy possible speak of that that method VLGD safely copes with such terrible, upon their opinion by cureless disease, as hypertension?! In no event!! If uzh it is impossible quite conseal method Buteyko - then let all think that he refers to one single asthma. А from rest one hundred eleven diseases (and from hypertension including) let sick as before buy in drugstore expensive, but not only useless, but and extremely bad for human of the organism poisonous chemical medicinal preparations! Let give the profits a pharmacist..."
So, dear needing for treatment of the hypertensions sick, you are not accidentally delude. Nowhere near not accidentally! And exactly so even at year 2006м we hear: "Method Buteyko? But this, on my is something connected with treatment of the asthma..." As often these absolutely not reflecting real reality of the words are pronounced as well as sick hypertension! Here is where tells whole terror of spreading like rumours. The Sick hypertension something heard of method Buteyko. The Method K.P. Buteyko enough quickly can save him( from sufferings. But "reportedly" method K.P. Buteyko cures only asthma. And requiring in treatment of the hypertensions sick peacefully goes by its saving! Sablin read completion of article. "These line can not serve by starting place for treatment and for himself-curing sick more so. In order to avoid mistake, the incidental complications and discredits to this ideas to conduct the treatment can only physician. The Detailed theoretical motivation and instruction on treatment will are given in special medical literature. To. Buteyko "Inventor and рационализатор" 5, 1962г. Viktor Timofeevich has once again rereaded the completion of the article and has closed the journal. "Good article, certainly good" - has thought he. But who from sick will read it in specialized journal for inventors. The Sick hypertension are millions, but article will read much and very a few. But personally-that beside him this article has definitively consolidated the faith in really-scientific medicine. More so that literally for scanned weeks of the drills on method of the volitional liquidation of the deep breathing Sablin was chosen from the most deep hypertension of the pit. He presently not even it was believed that first once in laboratory Konstantina Pavlovicha Buteyko his have contributed on stretcher... Potrenirovav breathing by method Viktor Timofeevich already wholly by itself could go and even be conceived about that to concern with sanitary running. The Hypertension is disgraced run from it, but blood pressure obediently went downwards. Why do we have solved to provide in this book example recovery of Viktora Timofeevicha Sablina? Yes since uzh much this was unusual requiring in treatment of the hypertensions sick! If honestly say he trained on method by far from the most best way. The Method of the rough forcible pauses in breathing never was greeted by Konstantinom Pavlovichem Buteyko. "Hypertension it is necessary to cure not forcible and unnatursl pause in breathing, but gradual reduction of the depth of the breathing sick" - these word author method repeated on many once. Repeated he them and sick hypertension. But VWVhave diarrhea person! He always searches for the most simple and the most light ways to saving. The Gradual reduction of the depth of the breathing else to was necessary master, study. But here is delay the forcible pause a breathing, yes and not to release this most (what turned out to be) valuable carbon dioxide from itself in atmosphere - for many seemed where as more simply. The Method volitional liquidations of the deep breathing many needing for treatment of the hypertensions sick fairly often began to distort from the very beginning. Buteyko swore, stomped the leg, appealled to reason. But, alas, unnatursl forcible pauses in breathing overtook spreading to ideas of the gradual reduction of the depth of the breathing. In count took on hook "light" on mastering the forcible pauses in breathing sick hypertension turned out to be and Viktor Timofeevich Sablin. Konstantin Pavlovich long and passionately convinced his to go exactly on way gradual (under obligatory checking the methodist) of the reduction of the depth of the breathing. But not oats turned out to be in horse. The Hypertension so tormented Sablina, so has knocked him on brain that he caught only one - a deep breathing excessive washes out from his organizm carbon dioxide and it is necessary in that that nor became his hold! Win the hypertension wanted at earliest convenience and Viktor Timofeevich did not become to philosophize VWXbe cunning. Once, uzh drain SO2 occurs through breathing, signifies him and shall delay so for a long time and often as soon as we shall be able... This was a breach of the requirements most author of the method. But so was easier! And Viktor Timofeevich set off in all heavy. He delayed the breathing else on stretcher lying down. He continued his delay when rose with them. The Hypertension all quicker began to abandon his(its) body, but he all enlarged and enlarged the delays of the breathing. Can be Sablin and not so shown great zeal in forbidden (as unnatursl) forcible pause in breathing if not good result. The Hypertension-that went on decrease! And spit he wanted on any forbids. But spit on them, dear needing for treatment of the hypertensions sick, oh as was it is impossible. The Scientist K.P. Buteyko knew that did, when required to go exactly on way of the gradual reduction of the depth of the breathing. After all also VWXbe clever entered and nature itself. "Breathing process unceasing! No in him forcible delay" - repeated and repeated Konstantin Pavlovich his own pupil. "See on graph of the breathing of the sound person - unceasing (!) fluent and low wave" - added Buteyko. "No here no break and delays. On graph you see is only sailled changing twist. Uglov no! But forcible delays - a corners." Buteyko wondered, why many sick tried as it were not to hear his(its) instructions and went on forcible pauses. "Yes you understand, - boilled the author of the method VLGD, - that forcible pauses possible not for each sick! For appearing simplicity here always hides the danger. After all beside same sick hypertension fairly often there is else and angina pectoris. That is to say сердчишко-that beside it unhealthy, weakened. But he once and has delayed the breathing, and keeps his jammed a little not before loss of the consciousness. All try unhappy man. Well but heart ek and refused to work in this moment... Has Not born the similar unnatursl tenacity! And that then? Perished the person. Perished from own mistake.Here is gradual reduction of the depth of the breathing - quite other deal. Here like tragedies never to happen. All occur is sailled, evolution, either as in alive nature"
Long suffered from hypertension Viktor Timofeevich Sablin will go contrary to this wise edifications K.P.BUTEYKO. He delayed the breathing on black. The Carbon dioxid acumulated. He became easier. But, first, at any minute this, disposed from hypertension sick could die its unhealthy heart because of lacking self-control overloading. А, secondly, - went here and other dangerous process. The Gradual reduction of the depth of the breathing always only to positive result for sick hypertension since it normalized the depth of the breathing! Brought her(it) to rate. But rough forcible pauses nothing do not normalize. They only for time powerfully compressed the spring of the deep breathing, but after completion of the pause this spring was unclenched with else greater power! The Depth of the breathing from these pauses did not decrease. Fairly often on the contrary - he could else and increase... And this in the future worsened the position sick hypertension. But all improvements of the condition of his(its) health always remained only temporary phenomenas. They completely held only on continuation of the pauses, but signifies and on constant risk to tear slightly these pause sick heart! Won from this needing for treatment of the hypertensions sick? No certainly! They got quick (but far from reliable) result, endanger its own life. Could K.P. Buteyko its personal authority once and for ever root out the way "treatments of" hypertension (yes and the other diseases) forcible pause in breathing? No! In that condition, in what he happened to to work this was unfeasible. Beside winner of the hypertensions was not an output on big television screen. About his(its) Okrytie Diseases of the Deep Breathing preferred to hold the tongue the majority of the central newspapers. So Konstantinu Pavlovichu happened to be considered and with one, went this dangerous way to recovery. Single that he smog to do - he entered this way, as the third, additional to two first main. But herewith always repeated the sick hypertension: "Take into account - a third way of the forcible pauses not to show the method Buteyko! This only auxiliary, additional way, to which possible resort (not for long) in separate, strictly stipulated events, on determined rule and far from all sick!" Sablin came to believe in method Buteyko, dear needing for treatment of the hypertensions sick. He came to believe in power of the authentic science! But way to achievement of health this гипертоник has chosen the most dangerous and the most unpredictable.